In earlier versions of Windows operating system, end users had more control over Windows Updates. Unfortunately, Windows 10 offers us very little control over Windows Updates. 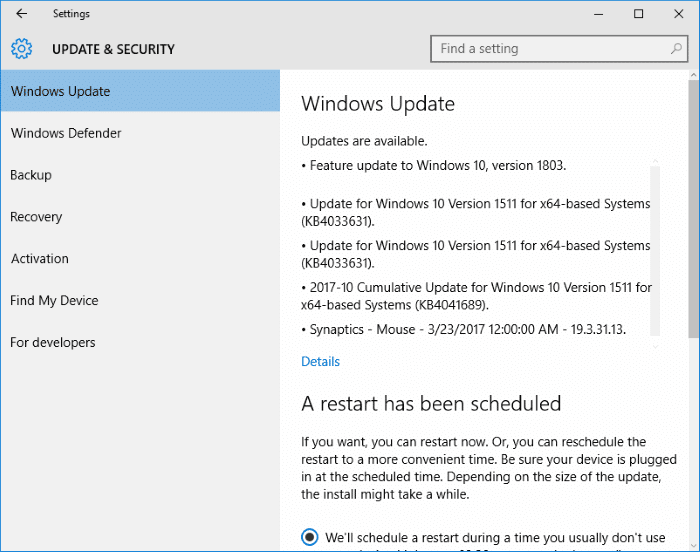 While this move ensures that all PCs automatically receive Windows Updates and are up-to-date, many users are not happy with this behavior of Windows Update in Windows 10. As you likely know, when you check for updates via the Windows Update section in Windows 10 Settings, it doesn’t display the download size of available updates. While those who are on unlimited internet connection plans might not to know the size of updates, users who are on metered connection might want to know the size of updates before downloading and installing them. 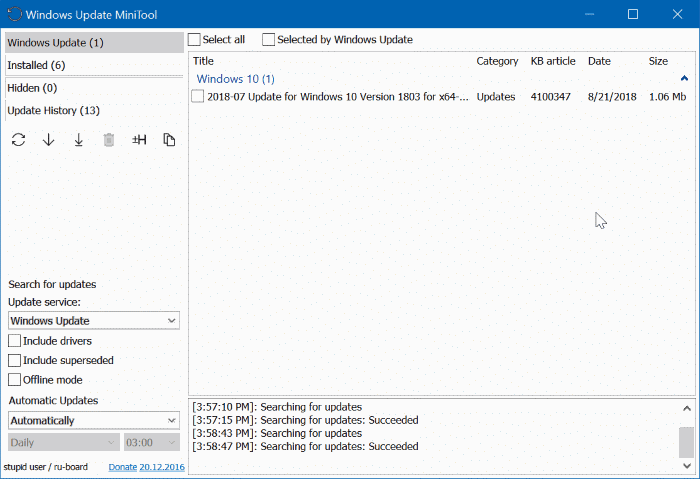 Since Windows 10 doesn’t display size of Windows Updates, we need to use a third-party tool called Windows Update MiniTool to know the size of updates before downloading them. 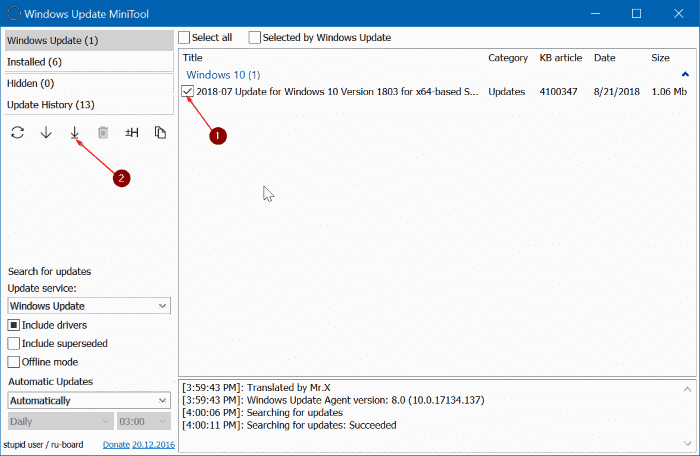 Windows Update MiniTool is a free software that can help you to check the size of an update before downloading it on to your PC. After running the tool, you just need to click on the check for update icon to let the tool check for available updates. In a few seconds, the tool lists all updates available for Windows 10 and their size. As you can see in the picture above, the tool lists updates available to Windows 10, device drivers, and Windows Defender. Complete the given below directions to know the size of Windows Updates in Windows 10. 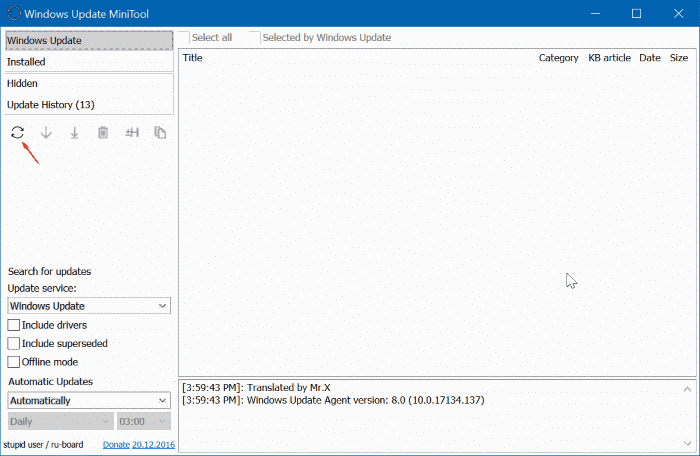 Step 1: Download Windows Update MiniTool from this page. Extract the zip file to get the executable. Step 2: Depending on the version of Windows 10 you are running, run either 32-bit or 64-bit Windows Update MiniTool executable. If you are not sure, refer to our check if you are running 32-bit or 64-bit Windows 10 article. Step 3: Click the small check for updates icon (see the picture below) to start checking for updates. Step 4: In a minute or two, you should get a list of all available updates for Windows 10 with their size. You can now either switch back to Windows 10 Settings to install update(s) or use the Windows Update MiniTool to install update(s). Step 5: To install available updates using MiniTool, select updates that you would like to download and install, then click Install updates option.